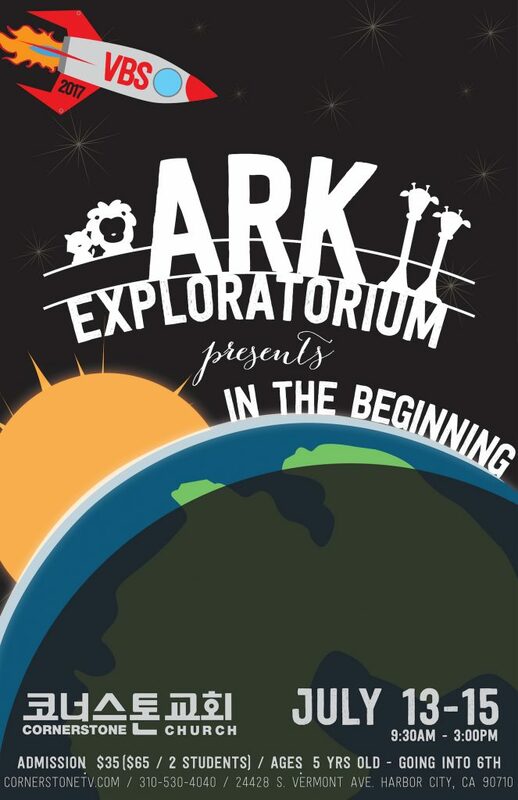 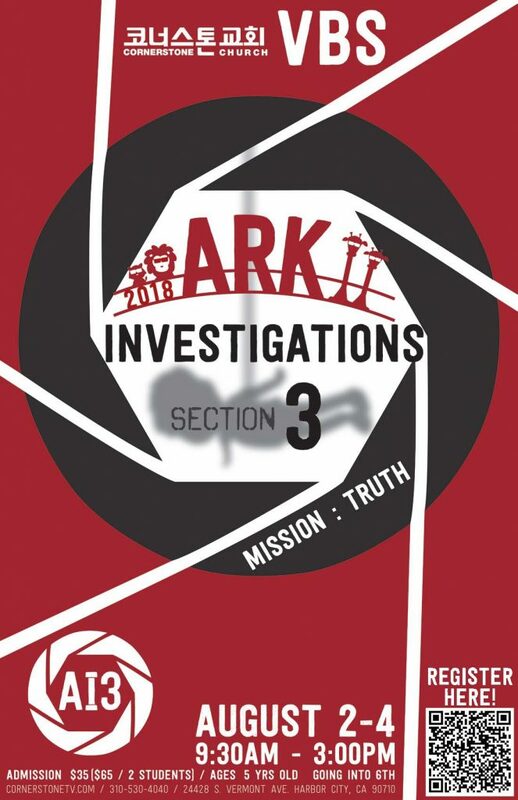 From July 13-14, we held Vacation Bible School at our church with the theme “ARK Exploratorium: In The Beginning.” The prayer for this VBS was to equip our Sunday School students with a clear understanding that there is a creator(God) and that He had a clear intention for His creation. 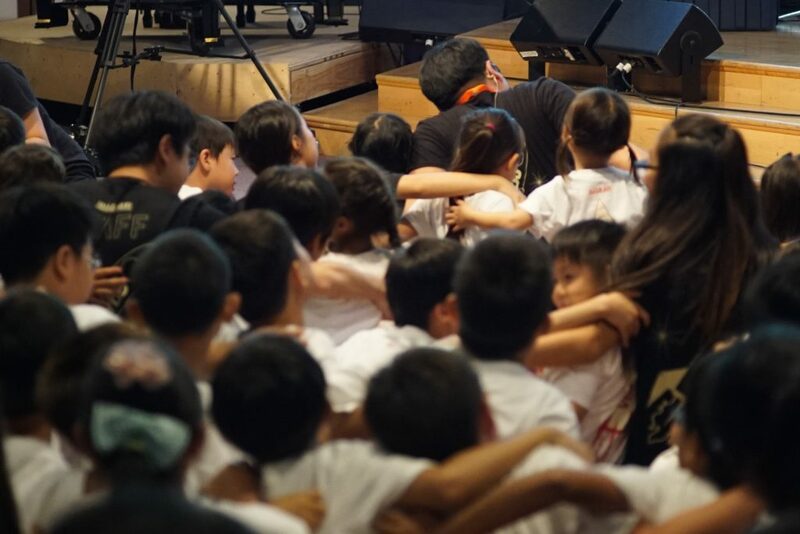 For this event, over 50 teachers and assistants from jr. high, high school, college, young adult, and the rest of our congregation prepared decorations, activities, lesson plans, skit, puppet show, praise, and crafts in prayer for two weeks. 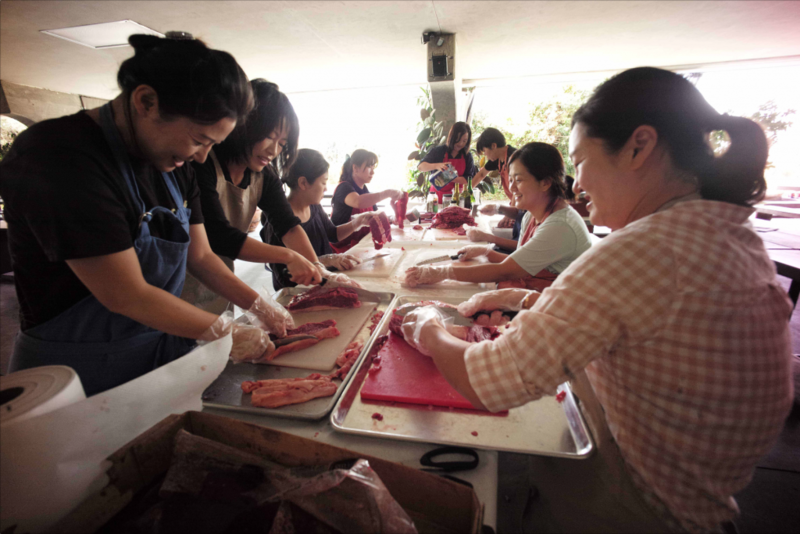 Many parents joined in on the serving through cooking each lunch, buying ice cream for the festival, and taking care of the many tasks that go unseen. 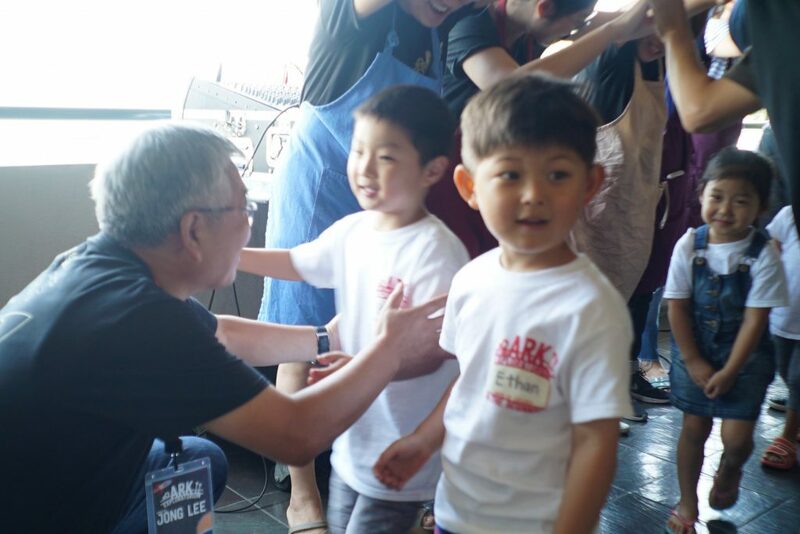 The process was a Bible Study in and of itself as the entire church banded together to maintain the unity in Christ to serve some of the youngest members in our church and community. 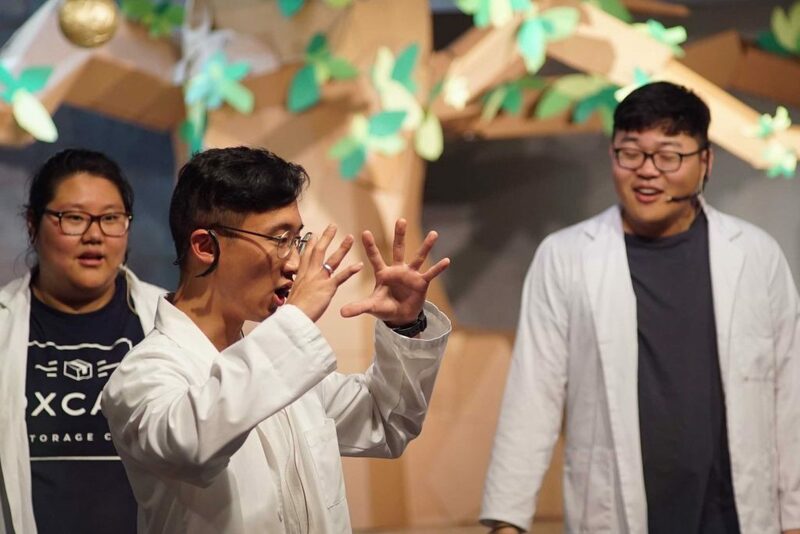 Since 2011, we have been creating our own themes for VBS and our hope is to use our creativity and talents to create an immersive experience. 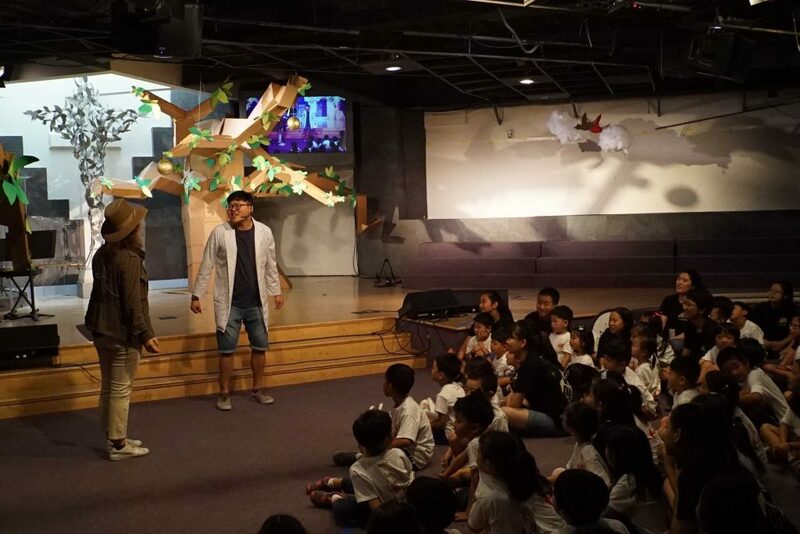 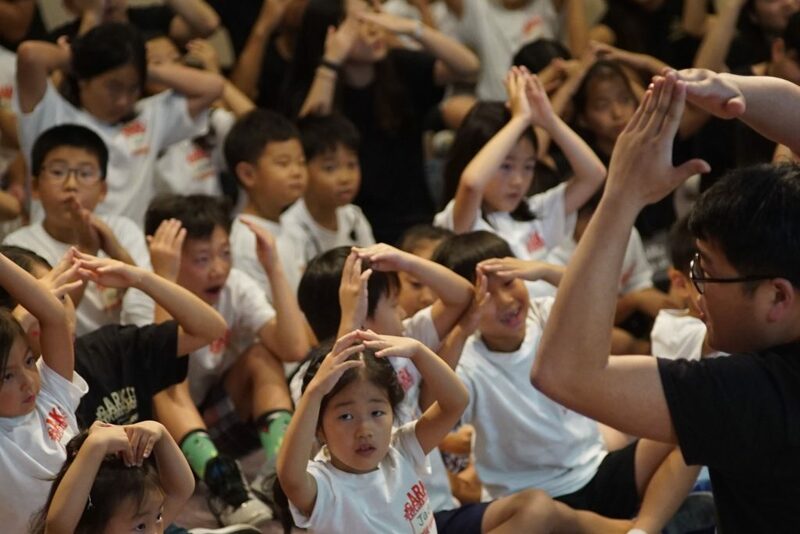 This year Joshua Suh GSN created our first original song for VBS (it is the first song in the video). 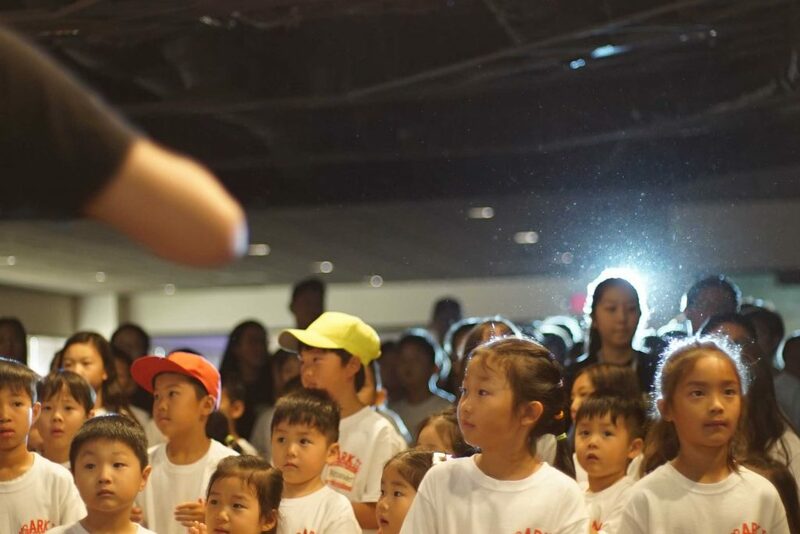 We plan to better develop our themes every year. 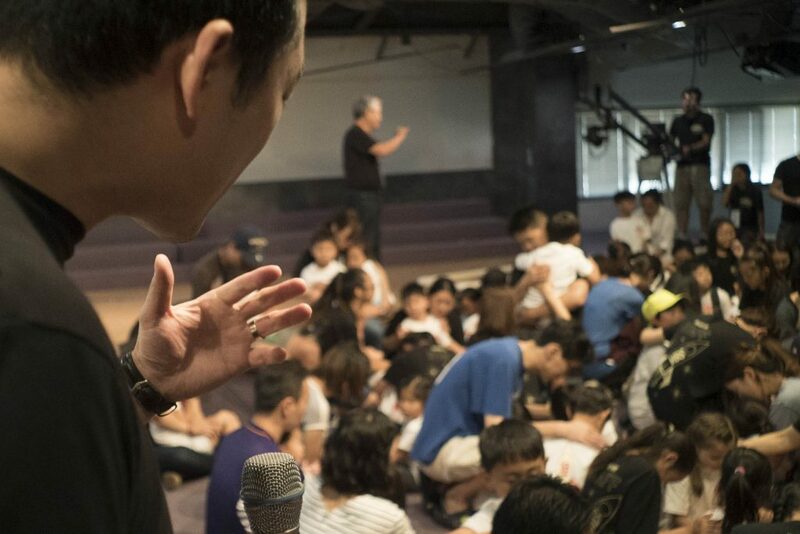 Thank you to everyone who served and prayed for VBS. 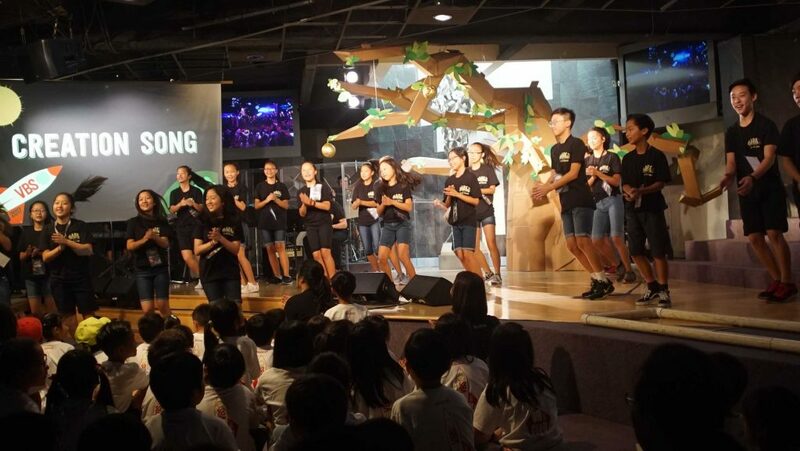 Thank you to our Sunday School Department, the Sakamoto family, David JDSN, Sungpyo JDSN, Samonim and Moksanim for your leadership and continual guidance. 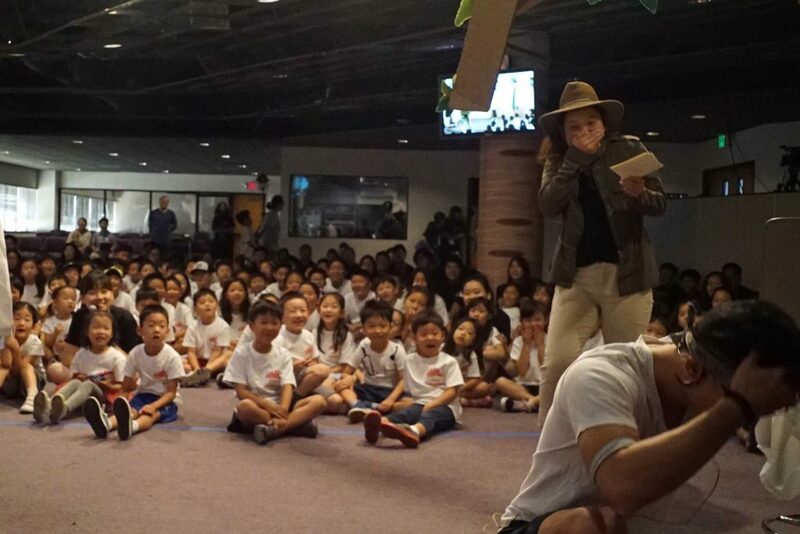 Looking back on this VBS we thank God for His unending grace, the work of salvation, teaching our Sunday Schoolers about Creation and His love, raising leaders, training our church to become more like Jesus, and giving us a body of believers to serve Him and grow together with. 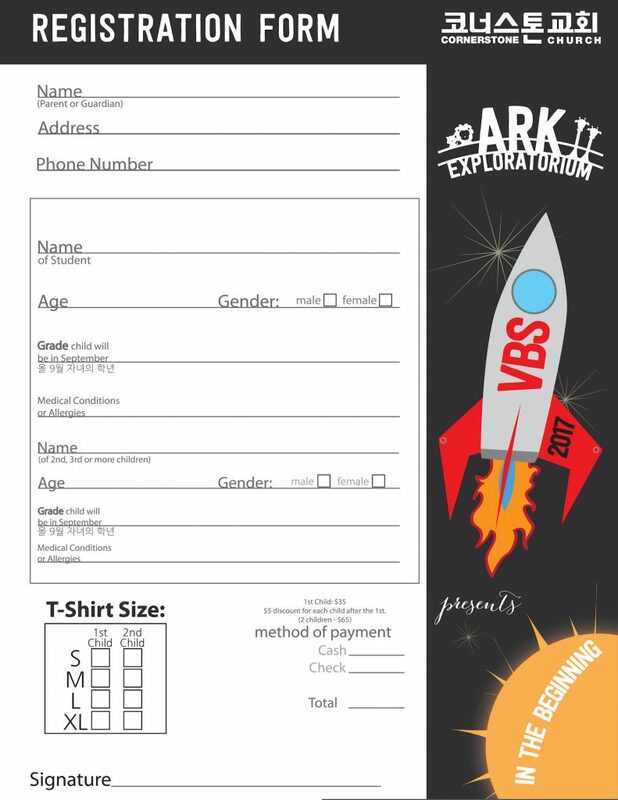 2017 VBS – REGISTRATION FORM은 KCORNERSTONE@HOTMAIL.COM으로 보내시면 됩니다.